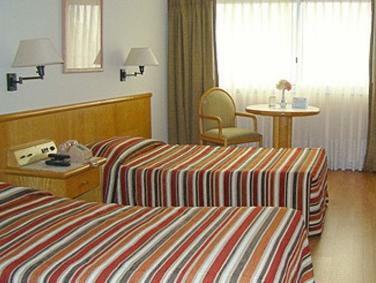 Large room, Friendly staff, not too far from the main attractions. large room, good breakfast, great staff. from start to finish this hotel was great. staff on arrival gave us a free upgrade, the room was very large, the breakfast was excellent and although its a few blocks from the main plaza you don't get as much noise, very nice stay and would highly recommend. the hotel room was adequate. we wanted something inexpensive in the central area. everything was walkable from here. The Saying, "You get what you pay for" is definitely an accurate description of this location. If all you want is a place to crash at night then it is worth it. If, on the other hand you are looking for comfort you might want to go somewhere else. It is alittle ragged around the edges. I stayed there for ten (10) nights and the sheets were not changed once!! 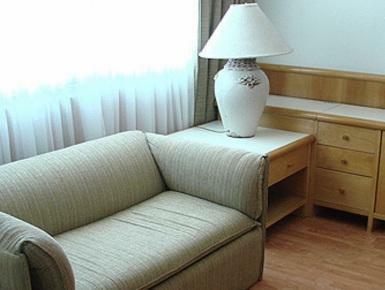 Free Wireless In-Room Internet Service. 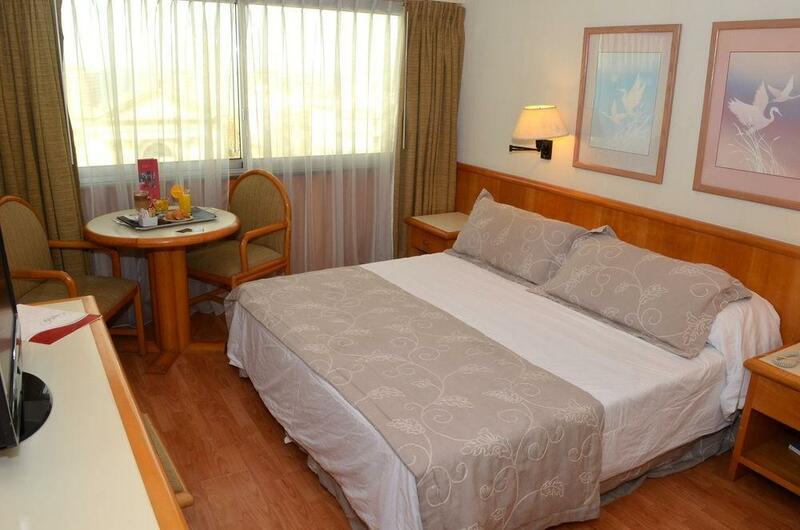 The location of the hotel is not far from main attractions and it is easy to walk to most everything. The complimentary breakfast is fantastic with a wide variety for everyone. The rooms are however, not soundproof and there is alot of noise from the hallways or street if you are on a lower floor. while the lafayette appears to have been built (30? 40? years' ago) to 4-star standard, it is now out-of-date. but, still fully functioning. if you choose to stay here because it's the cheapest 4-star in town, you really have no right to complain about it. (want better, pay more elsewhere.) because the room was booked through agoda, lafaytte staff at check-in first insisted only a room on the 2nd floor was available to me, one in front of the street and too noisy. finally, they agreed to provide a 6th floor room, and while the room was also on the street side, it had a new noise-blocking window. a comfortable sleep. strong, quiet ac. ok cable tv, but no news in english channel. free wifi signal low, though, in room. nothing noteworthy in furnishings, just basic. breakfast the only thing that could be justly criticized at the lafayette. good, inexpensive laundry across the street, a block down on the left side. 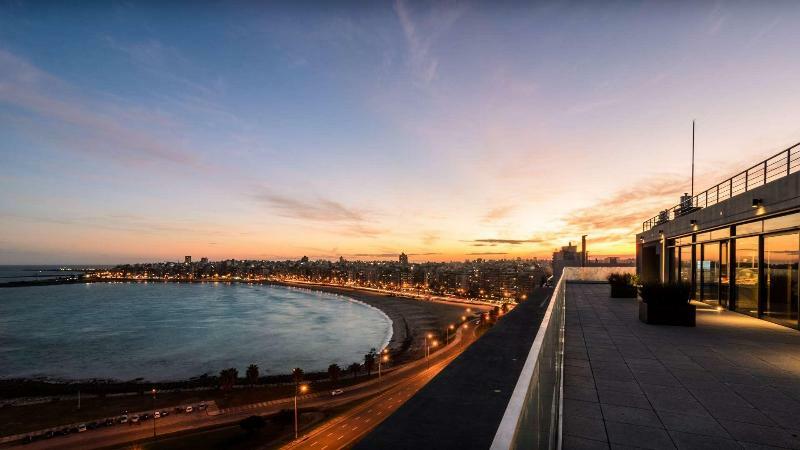 location of this hotel excellent for downtown montevideo. there's a pool and a gym, but did not use. 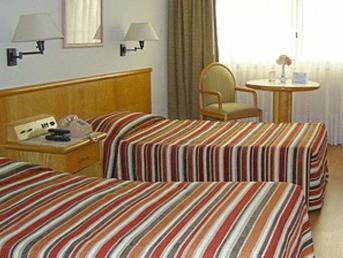 The hotel is very near of the historical center of Montevideo. You can walk all the old town by foot. It is a little old hotel, but very clean. The staff is gentle. It is an old hotel. The breakfast is ok, but could be better. Very Good location ..their excellent Staff throughout the entire hotel ..very helpful ,charismatic..polite. Maybe some furnishing upgrading should be considered and the sewer smell from outside permeates the overall pleasantness of the facility. Both my wife and I had a most satisfying week stay. Their brochure offers Airport Transfers but never responded and the Taxis at the Airport were downright thievery...We were lucky to find various young ladies at the Airport "Welcome Center" that provided a city taxi to pick us up..truly a delightful group of ladies. most charming. 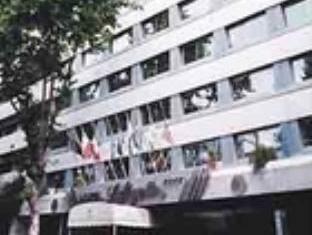 l'hotel lafayette est bien situe, en pleine ville,proche de l'artere commerciale principale et pas loin de la vieille ville et de tout ce qu'il y a a voir a montevideo.la reception de l'hotel est belle et moderne,les chambres,par contre, ne sont pas a la hauteur d'un hotel 4 etoiles,il vaut 3 etoiles maximum,car le mobilier est vieux et peu fonctionnel,les matelas sont trop mous. chambre sinistre, mobilier sale, tapis crasseux.le personnel etait gentil. Nous avons passé un agréable séjour dans cet hôtel un peu décati mais avec un personnel très attentionné. L'aspect veillot du lieu a aussi son charme. Le wifi est accessible partout. 센트로 광장 도보 1분으로 도심명소(인디펜던시아 광장, 부두시장등) 도보로 가기 좋고 안전한 위치입니다. 4성급 호텔 답게 시설, 서비스 좋고 친절하고 조식도 괜찬습니다. 룸에서 와이파이 무료이용 가능해서 좋았습니다. 방 바닥이 마루가아니라 카펫인 점이 단점. 전체적으로 만족한 호텔입니다. Todo muy excelente pero la SUITE estaba sucia, el baño tenia hasta pelos. Habia comida en la heladera que dejo alguna persona que se quedo ahi anterior.